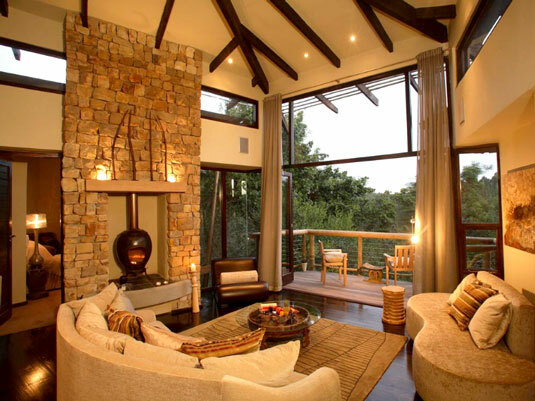 Set amidst the treetops of an age-old indigenous forest, Tsala Treetop Lodge is a lavish celebration of the spirit of Africa. 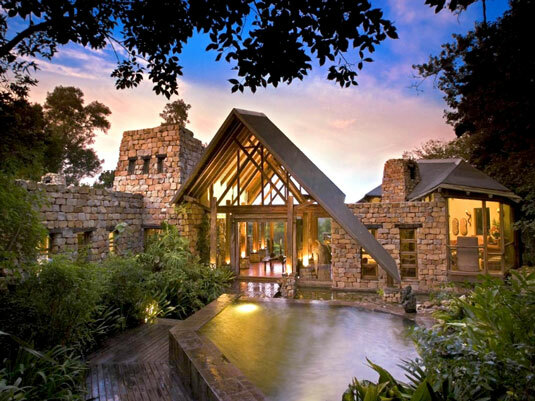 Emulating the monumental ruins of an ancient central African civilisation, the impressive stone-masonry entrance flanked by water features leads into a magnificent foyer supported by polished Blackwood columns. The afro-baroque décor with its earthy colours, rich textures and handcrafted fittings draws inspiration from the diverse cultures of Africa, yet remains integrated with the sophistication of the Western world. 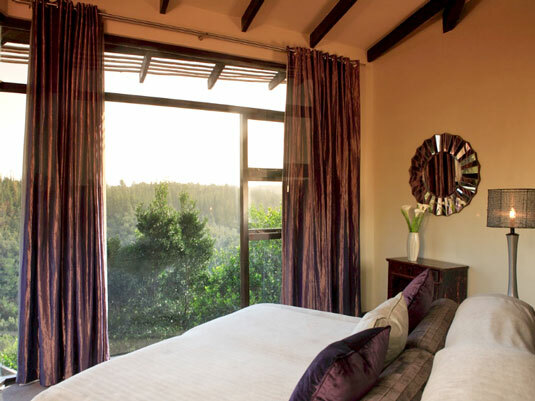 Whether from the exotically appointed dining room, the intimate glassed-in lounge, or the large open decks high above the forest floor, the views are all breathtakingly beautiful, encompassing lush forests extending across rolling valleys towards distant hills. Tsala is a member of both Relais & Chateaux and Chaine des Rotisseurs. its glorious golden beaches, lies a mere 10km east of Tsala, while the vibrant town of Knysna, nestled up against the Knysna lagoon, is 20km toward the west. 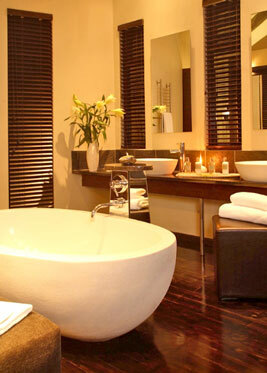 Tsala achieves the perfect balance between nature and voluptuous luxury. 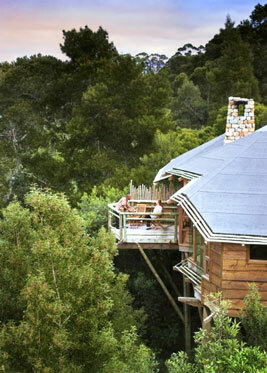 Elevated wooden walkways meander through the trees providing easy access between the main lodge and guest suites. 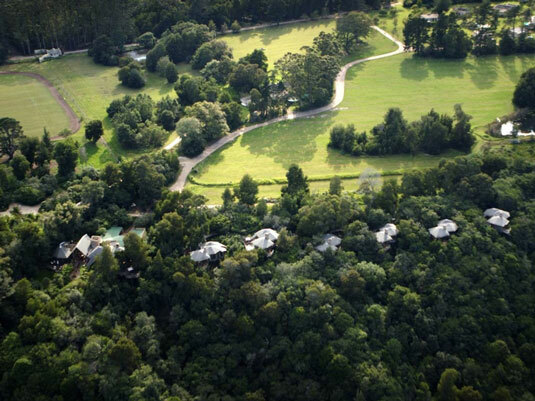 Experience the restful tranquility of the forest while our discreet staff provides impeccable, personalised service. Highly acclaimed, Tsala's restaurant serves delicately prepared and exquisitely presented dishes of both local and faraway flavour, accompanied by a wide selection of the best South African Estate and Auction wines from the private cellar. Fax, internet and e-mail facilities are available to guests and within the main lodge is a small library brimming with books on the surrounding area. 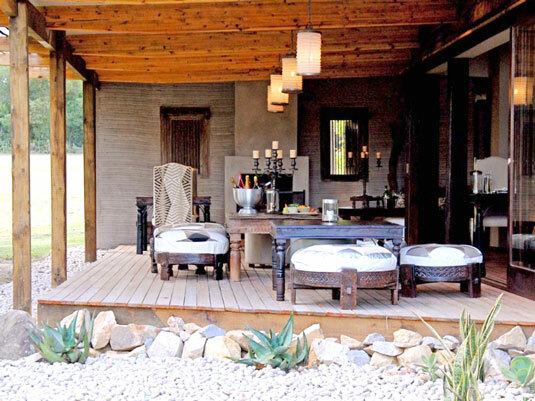 Tucked into the forest canopy, 10 luxury hide-away suites are the epitome of opulent indulgence and romanticism. 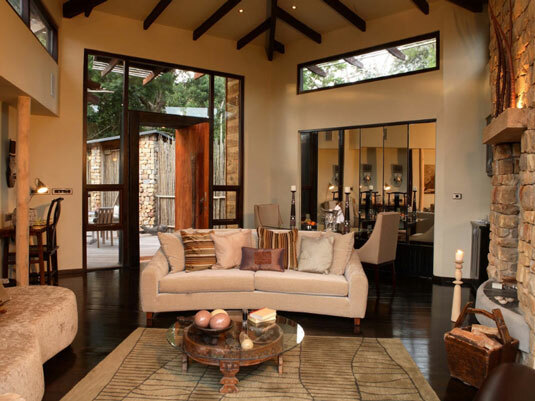 Constructed of stone, wood and glass these ultimate of abodes comprise a sumptuous bedroom, an elegant sitting room with fireplace, and a spacious bathroom fit for royalty. Extending into the forest is a private deck for dining al fresco, and as if in emphasis of your privacy and seclusion each suite has its own infinity pool, seemingly suspended by the very air itself. seven-thirty in the evening. Winter days are generally mild but nights can be refreshingly cool.